Step inside this dream office! 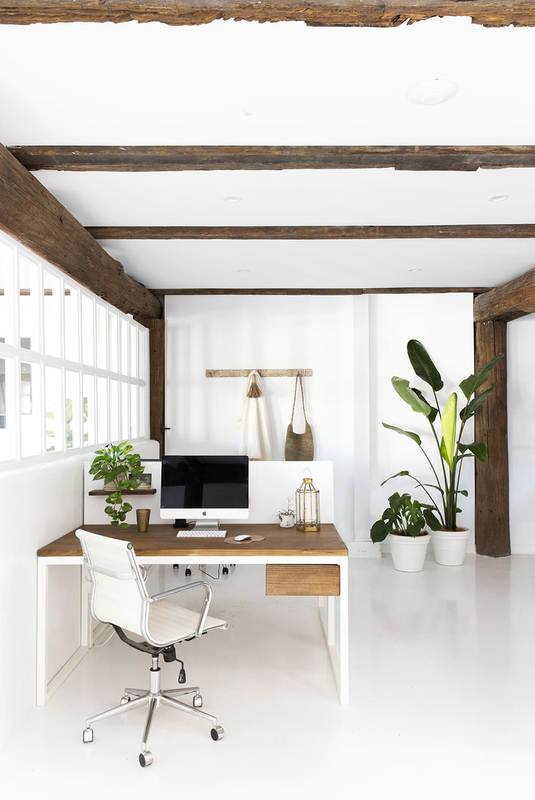 An all white space filled with natural light, eclectic furnishings, greenery and objects collected during travels, this office space perfectly combines minimal chic with island living. 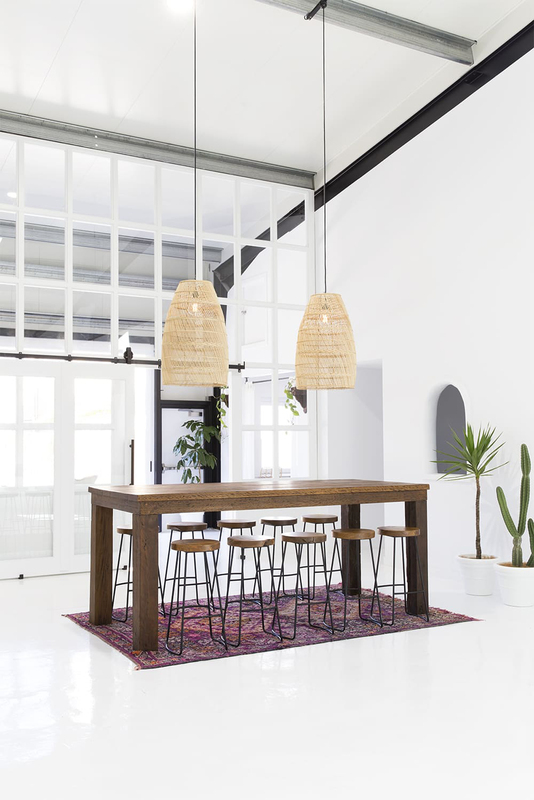 The office space, is home to Spell & The Gypsy Collective, a modern-bohemian fashion brand started by two sisters and headquartered in Byron Bay, Australia. When thinking about the space, the sisters looked to their travels for inspiration. They wanted the space to feel otherworldly and exotic because that’s environment that they design in best, but they also use the building’s original structure as inspiration. It used to be a wood carving factory and the space is full of reclaimed wood beams. They’re stunning and beautifully offset the clean white open spaces with their earthy, rustic feel. To create this effortless look the sisters used a balanced mix of old and new, of rustic and polished. 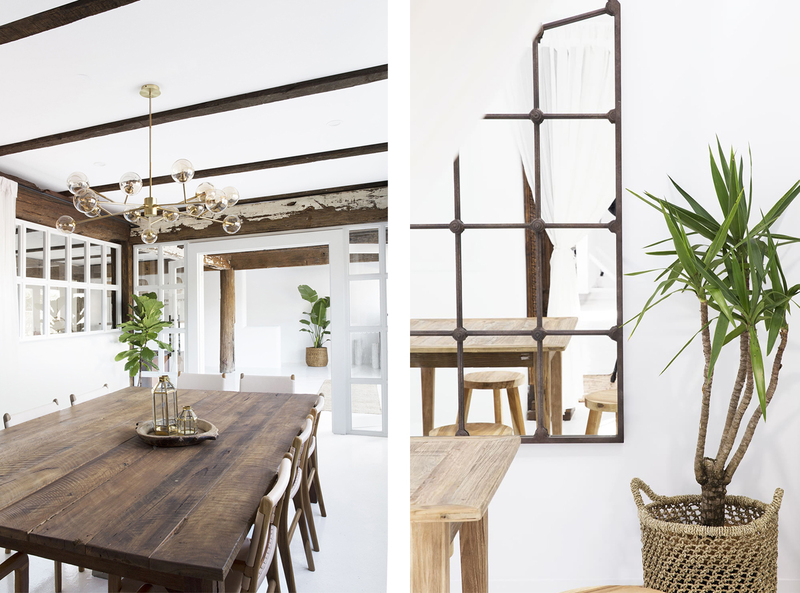 They took a clean, white open space and accented it with big, chunky reclaimed wood pieces that look a thousand years old. 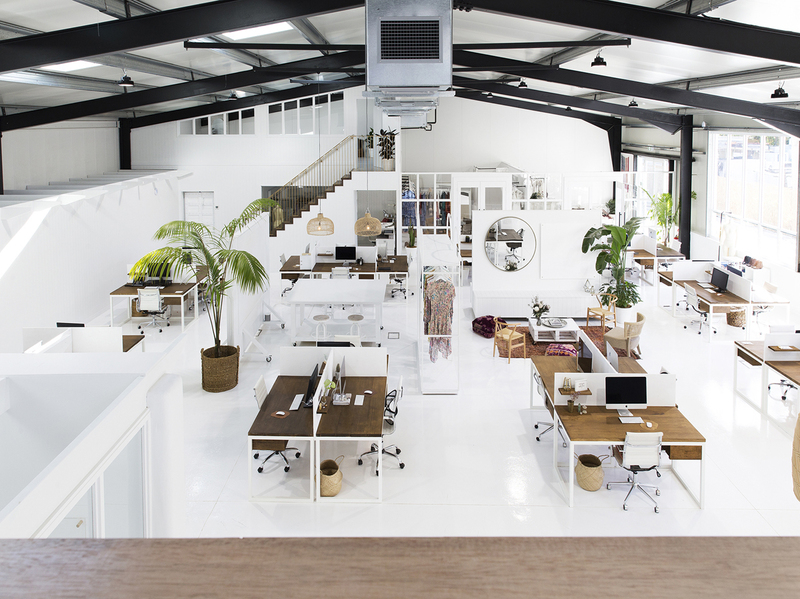 “Ultimately the office space needs to be conducive to creativity and focus, so the cleaner and brighter the better”. They achieved this with a white resin floor that helps reflect light, lots of wide open spaces, and also little breakout spaces and nooks that staff can get away to if they want to have a private meeting or brainstorm. 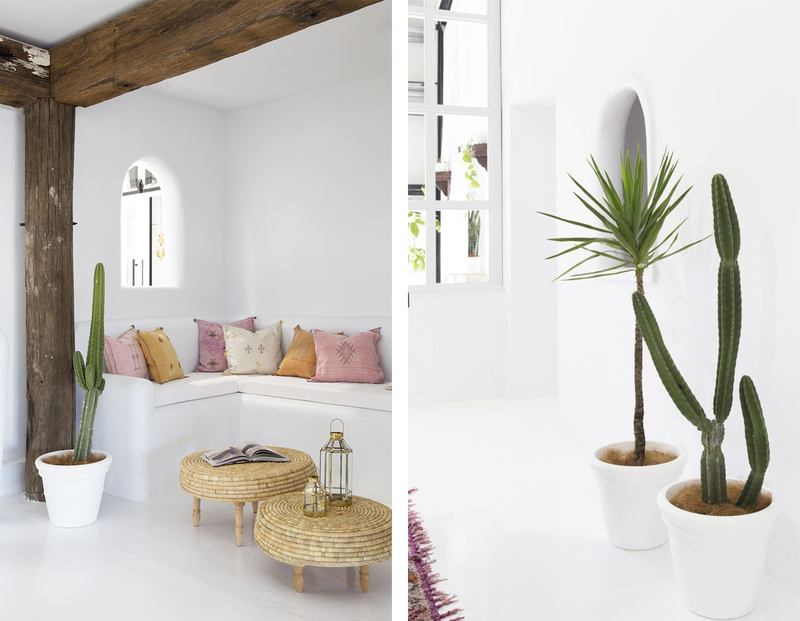 The sisters also used a lot of homewares to give the space a soft, feminine and restorative feeling, including soft rugs, plants and the occasional lantern or vase to give the space a lived in feeling.